The NASA’s Transiting Exoplanet Survey Satellite (TESS) is set to launch on a SpaceX Falcon 9 rocket from Space Launch Complex 40 at Cape Canaveral Air Force Station in Florida no earlier than April 16, 2018. Once in orbit, TESS will spend about two years surveying 200,000 of the brightest stars near the sun to search for planets outside our solar system. Sunday, April 15, 11 a.m.: TESS mission NASA Social. 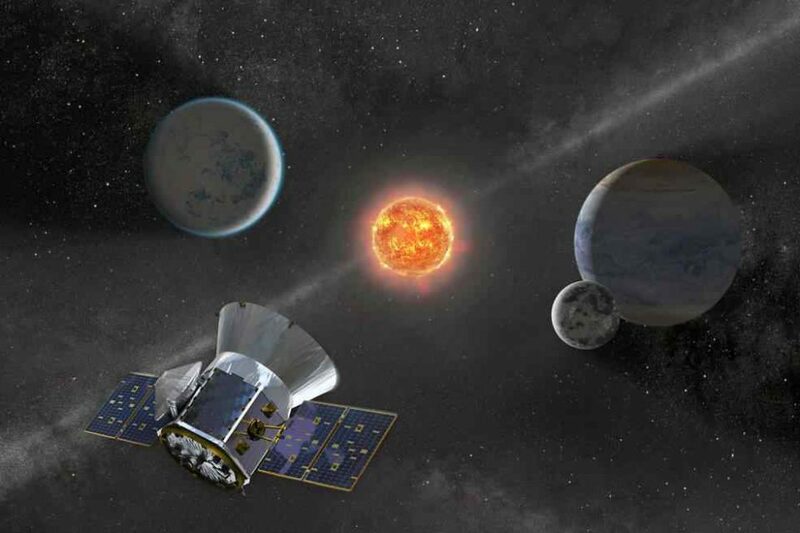 Ahead of the Monday, April 16 launch of NASA’s Transiting Exoplanet Survey Satellite (TESS), NASA Social attendees at Kennedy Space Center will hear from mission scientists. Sunday, April 15, 1 p.m.: TESS prelaunch news conference from NASA’s Kennedy Space Center. Sunday, April 15, 3 p.m.: TESS science news conference. Learn about the science to be performed by NASA’s Transiting Exoplanet Survey Satellite (TESS). Monday, April 16, 10 a.m.: NASA EDGE: TESS. A half-hour live show by the NASA EDGE team discusses the TESS spacecraft and science of searching for planets outside our solar system. 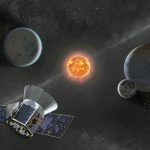 Monday, April 16, 6 p.m.: NASA TV coverage of the launch of TESS, NASA’s new planet-hunting mission. TESS, the Transiting Exoplanet Survey Satellite, is an all-sky survey mission that will discover thousands of exoplanets around nearby bright stars. TESS is scheduled for launch at 6:32 p.m. EDT aboard a SpaceX Falcon 9 rocket from Space Launch Complex 40 at Cape Canaveral Air Force Station, Florida. You can see the rest of the events at NASA TESS Pre-launch, briefing and events website.